OWENSVILLE, Ohio (March 16, 2018) — Looking to add trees, bushes or flowers to enhance your yard? How about native plants that feed and provide habitat for pollinating insects and birds? The Clermont Soil & Water Conservation District is accepting orders at its yearly plant sale. The district’s online plant store, www.clermontplantsale.com, has many new offerings. Bare root tree and bush seedlings are 18-24 inches tall and come three to a packet. New this year are white cedar, dawn redwood, canoe birch and prairie crabapple trees, and Allegheny serviceberry and black chokeberry bushes. 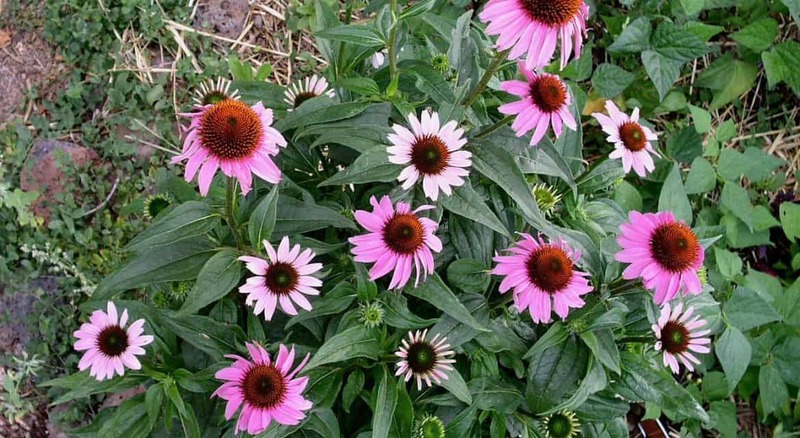 SWCD also added New England aster, bee balm and wild geranium to its perennial collection, and annuals including zinnias and salvia. Insects that pollinate plants are in serious decline due to the widespread use of insecticides and loss of habitat. Native plants growing naturally are being replaced through development, introduction of non-native plants, and clearing for crop fields, to name a few. Large grassy yards with Bradford pears and non-native bushes are food deserts for bees and other pollinating insects. “What we really need to do is change our perception of a landscape, to think of it as something dynamic that attracts birds and butterflies and pollinators, rather than just something to look at,” said SWCD Administrator John McManus. Clermont SWCD will be taking orders through April 9. After April 9, please call 513.732.7075 Ext: 2 for availability. Plant pick up will be April 28 at the Clermont County Fairgrounds. You do not have to be a county resident to buy plants.